Shiva is finally getting the action-figure treatment she deserves for fans of The Walking Dead! 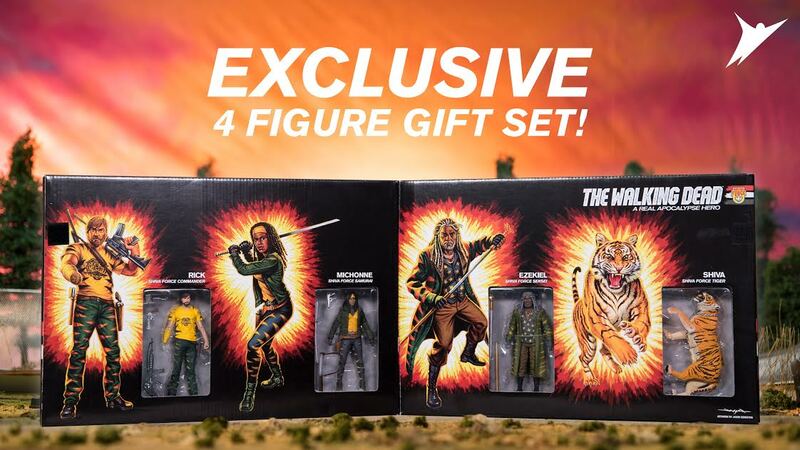 Not only is Shiva headed to San Diego Comic Con as an exclusive collectible figure but the loyal tiger will be joined by more members of Team Alexandria as see in The Walking Dead comics. Included in the epic San Diego Comic Con exclusive four pack are Kingdom leader King Ezekiel, along with Alexandria leader Rick Grimes, and the tremendously tough Michonne. The figures were unveiled on Tuesday afternoon, accompanied by a commercial themed to the 80s. Check out the commercial above! The four-pack of figures will be the biggest draw for collectors and fans of The Walking Dead series. It is called, "The Shiva Force Four-Pack." Not included in the set but also coming available will be a Shiva Force themed Paul "Jesus" Monroe figure. The figure will be included in Skybound's next quarterly mystery box which is available under the name, "The MegaBox," which is available from the MegaBox website. The figures are based on Robert Kirkman and Charlie Adlard's The Walking Dead comic series. While Rick Grimes has one hand, keeping him accurate to the portrayal seen on the pages, the tiger-faced t-shirt is a new design created exclusively for the Comic Con collectibles. Each 5” tall figure is also individually packaged on a vintage styled card back. The Walking Dead Shiva Force four figure gift-box is available in regular color version and a bloody variant. These gift-boxes are limited to 1000 copies each and are priced at $100. The Shiva Force characters will be featured in Scopely's role-playing mobile game The Walking Dead: Road to Survival staring on July 20. San Diego Comic Con will run from July 20 through July 23 at the San Diego Convention Center in San Diego, California. Stay tuned to ComicBook.com for more updates from the convention, including other exclusive product announcements which will be revealed in the weeks leading up to the event. Fear the Walking Dead airs Sundays at 9 pm ET on AMC. 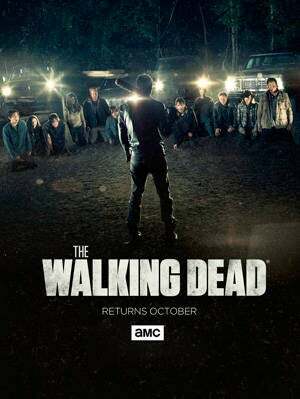 The Walking Dead will return for its eighth season in October of 2017. The first trailer is expected to arrive at San Diego Comic Con in July. For complete coverage and insider info all off-season long, follow @BrandonDavisBD on Twitter.